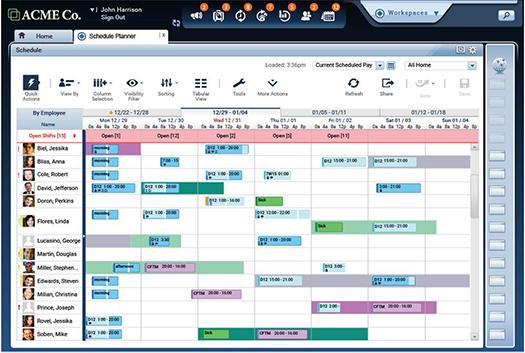 ADP Enterprise eTime is good for smaller employers with very few variances in policies, PTO/sick accruals, etc. I would not suggest Workforce Central for small organizations with fairly simply pay rules. The system is so complex that you will be purchasing capabilities that you will likely never use. However, if you are a large, complex organization with complex pay rules (such as a union shop) and difficult tracking requirements, then I would highly suggest looking into the system. Because the system supports virtualization and use of SQL versus more expensive Oracle, mid-sized organizations may find Workforce Central very appealing. Allows varied types of time. The system handles very well the varied over time, pay and holiday rules we have in place. Easy to use by both employees/students and their supervisors. This product allows for keeping track of time and attendance a lot better than papertime cards. We have found that being able to setup rules for lunches and breaks will keep people from abusing these privileges. The ability to request time off and get manager approval allows for accurate times taken from employees. I think that the supersearch feature when trying to troubleshoot something can be a bit frustrating to get what you are looking for. Once you do find the information it is very helpful but can be very hard to get the right wording for what you are looking for. - Self-service. Workforce Central provides self-service capabilities that present a central entry point for employees to handle all facets of their HR administration. - Workforce Central can be housed on a corporate intranet and configured with user access definitions that determine read/write permissions based on job position. Managers can have a consolidated view of employee data, including salary and performance review history and vacation accruals. Employees can access all benefit information and training options, and theycan initiate any necessary changes to their personal information.- Data collection. Integration with employee identification and check point devices such as badges, biometric devices, and PDAs enable time and attendance data to be captured in the most appropriate method for the worker. Automated data collection helps eliminate transcription errors inherent in manual timesheet processes.- Analytics. 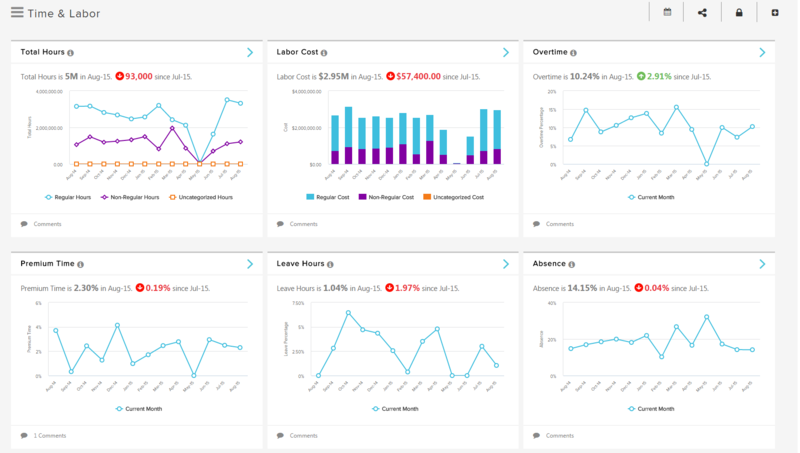 Workforce Central has static and end-user driven reporting that can be used to build intelligence on an organization’s workforce and associatedcosts. Accessing real-time data from Workforce Central improves the decisionmaking process. Having no experience with Kronos prior to using it in March 2016, their customer service team taught me how to use it the right way after my initial training at work. I am well-versed in data analysis using Excel and Access primarily, so once I discovered that Kronos had a reporting feature built in, I've used the feature quite a few times to help our properties evaluate their production costs and make good labor decisions. I give Kronos a 10 because once a person takes the time to learn how to use the software, they'll realize that Kronos is far more effective than most, and gives users more ways to access their information where and when they want to. I did not select WFC, I was Tier II support for the company I worked for. It helps us get our employees paid, which keeps them happy! Increased employee efficiency. This includes management and staff. Contact sales for pricing information at 1 (800)-225-1561.